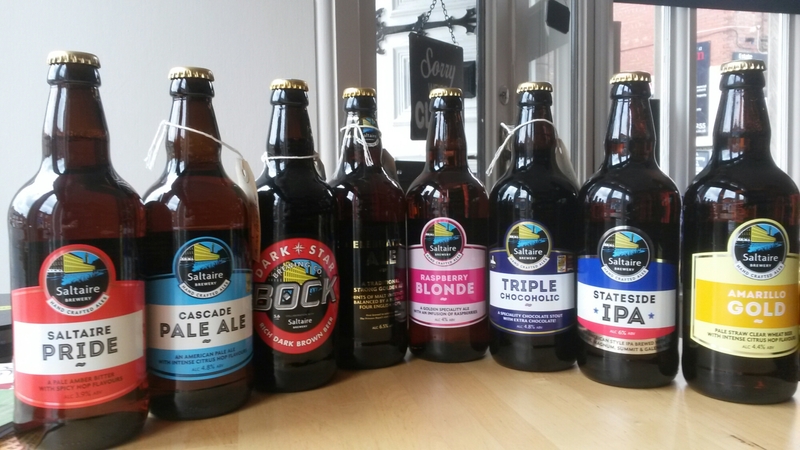 Saltaire Brewery have now restocked and brought a few new ones……interesting welcome additions. …need a wide angle camera me thinks….Stateside IPA difficult to resist for me…..although the Raspberry Blonde is intriguing. ..limited stock for this sort after brewery so don’t miss out, not often seen around these parts….